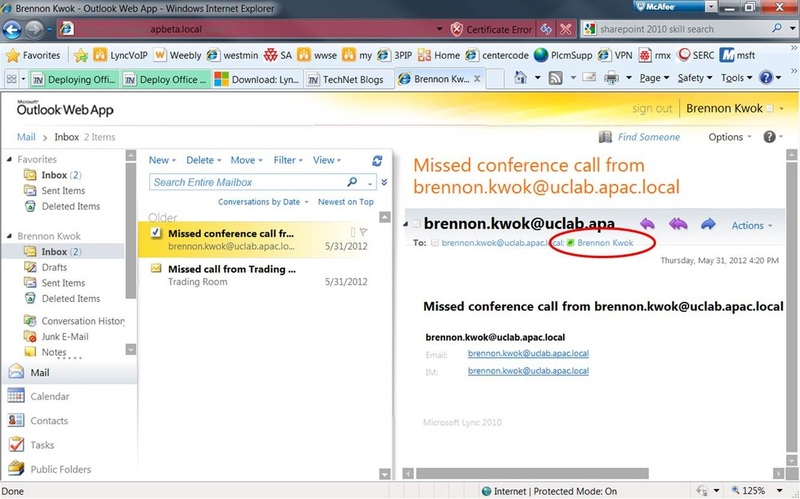 In this walkthrough, I have the Mailbox, CAS, HUB and UM roles installed on the same Exchange2010 Standard Edition server. 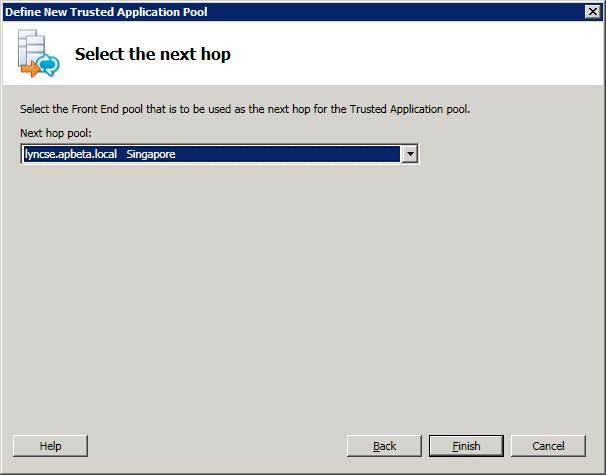 If you have separate or multiple CAS servers or if you have UM installed on a non-CAS server, then the steps will differ slightly and you cannot follow this walkthrough as-is. Accept the default installation location and click Next and then Next again to start the installation. Then click Close to complete the installation. 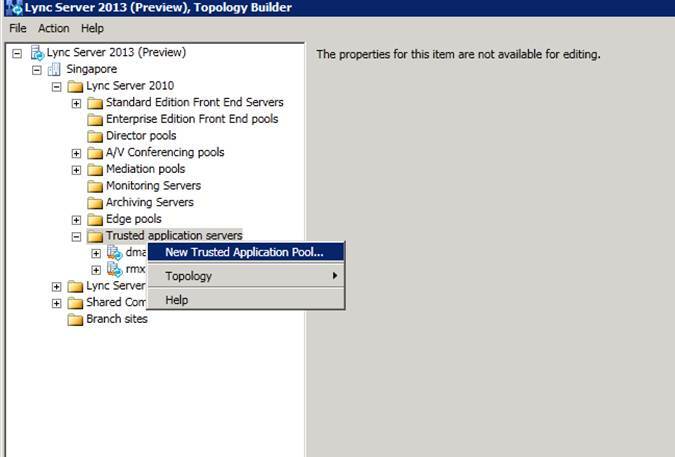 the default location will be at C:\Web Service Provider Installer Package. Open a folder at this location to view the files. 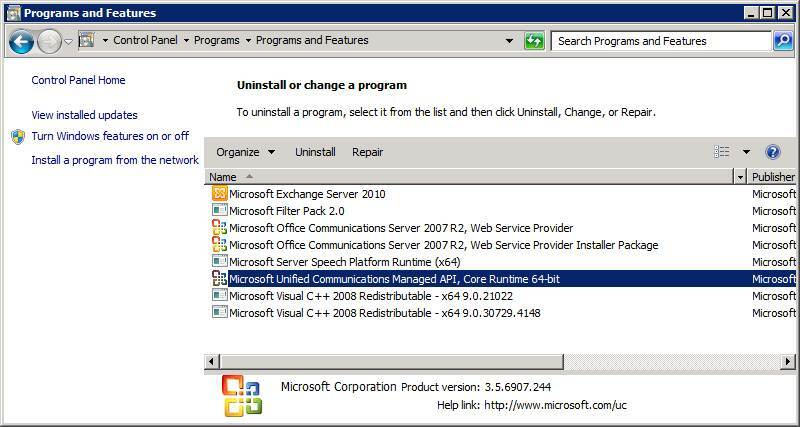 If your Exchange server is already setup with all the roles mentioned, then the VisualC++2008 redistributable package and UCMA API 2.0 Redist will already be installed in your server. If not, then then double-click the vcredist_x64.exe and UCMARedist.msi files to install these 2 components. 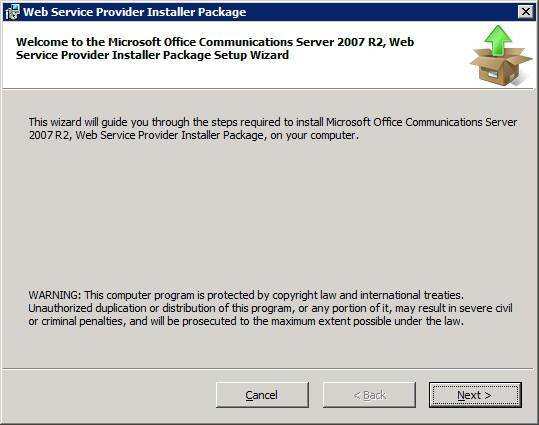 Next, a hotfix is also required for the OCS2007R2 Web Service Provider (KB981260) which can be downloaded from http://www.microsoft.com/en-us/download/details.aspx?id=797. 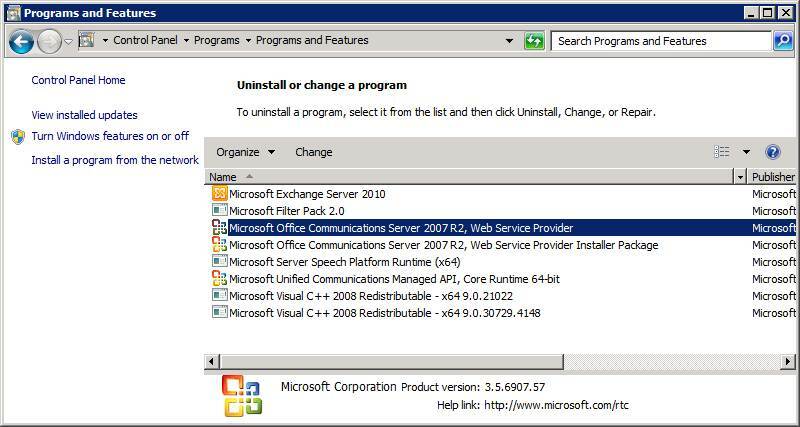 Install this on the server to upgrade the version to 6907.202. Again, use the Control Panel to verify that the installation is successful because if the silent install. 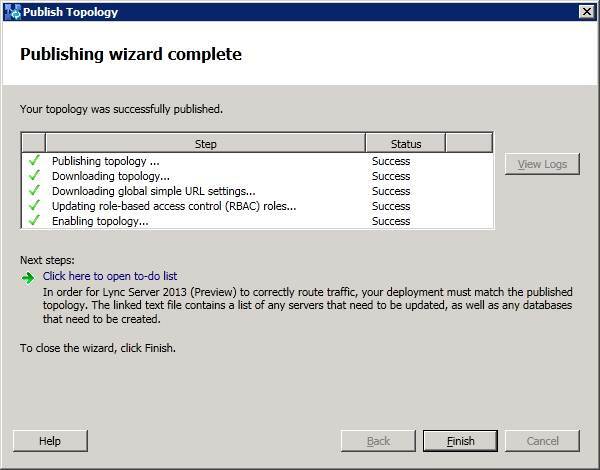 Next, run the following command to configure the virtual directory for Lync integration. 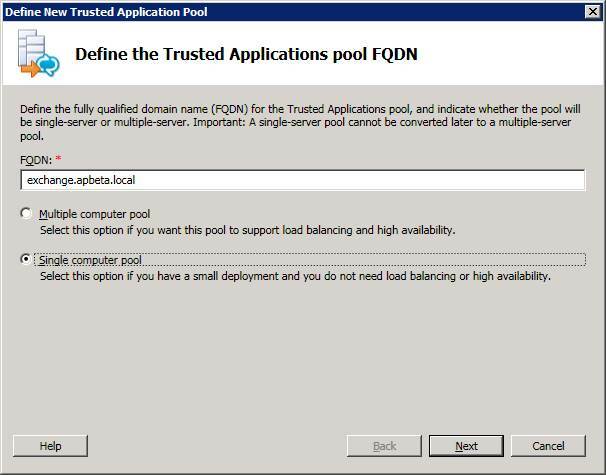 Remember to replace the certificate thumbprint with the one you obtained earlier and the FQDN of your Lync Front End server.